If learning to ballroom dance is something that you have always wanted to do, you will love our ballroom dancing classes in Brisbane. Whether you have never danced before or are an experienced dancer, our lessons will see you dancing confidently and having fun. Our dance school in Brisbane has a principle aim that our members enjoy dancing and have the best possible experience when learning with us. You will find that learning such a fun artform will bring you joy, which will also flow through to other areas of your life! Ballroom dancing classes in Brisbane will teach you poise, confidence, self-expression and will give you an outlet of recreation. Ballroom dancing in Brisbane is a very social form of dance and you will be socialising – and dancing – with many people! This is all part of the experience of dancing in groups and teaches you to lead and follow. Practice makes perfect, and just because you do not dance flawlessly now, does not mean that you will not improve immeasurably with practice over time. Our dance instructors are friendly, fun, and great teachers! Our teachers have a wealth of knowledge about ballroom dancing and by attending professional dance lessons you will only improve on your technique! Remember that dancing is about recreation! Enjoy the process, have fun and meet new people at our dance classes in Brisbane. Dancecorp is a fun and friendly environment where you can relax and enjoy the lessons. We work with all levels of ballroom dancers from absolute beginners through to exhibition standards of dance. There is no limit to what we can teach you! 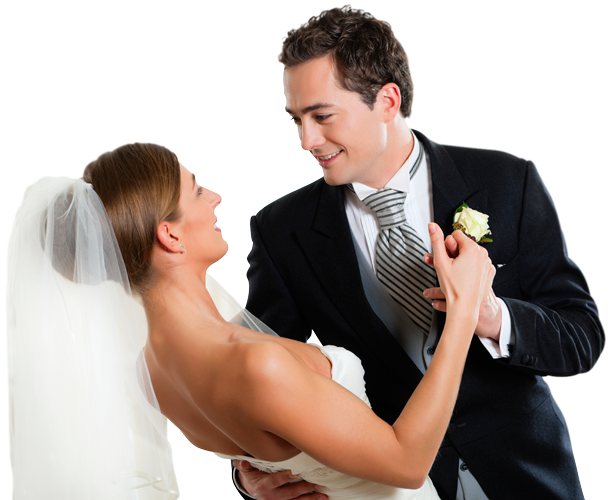 As one of the leading dance schools in Brisbane, we specialise in social and bridal dancing, and have been teaching people to have fun through dance since 1992. Call us on 07 3391 7355 or contact us online to get started today!